Arguably the most picturesque place on earth, I fell profoundly in love with the island of Santorini within seconds of stepping off the ferry. I cannot define in words the beauty that I saw, I can only highly recommend, if given the opportunity to visit, to not turn it down. I often marvel at my time in Santorini, wishing I was able to sojourn for longer than my day trip, nevertheless I feel humbled and incessantly grateful that I was fortunate enough to experience the magnificence just for a day. I have assembled together my favourite pictures from my trip, in the hope to recreate my adventure for others to enjoy and hopefully experience someday themselves. First stop was the beautiful small town of Oia. 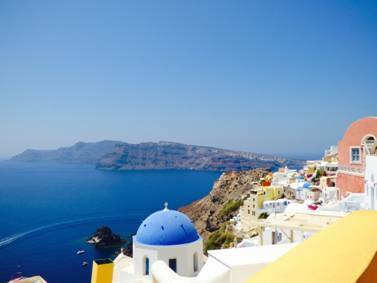 I explored Oia’s beautiful shops and cafes and gazed at the tranquil scene from on top of the hills. 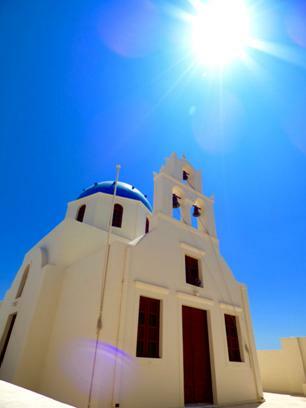 The most eye-catching of all buildings in Santorini are its churches, each famous for their blue domed roofs. 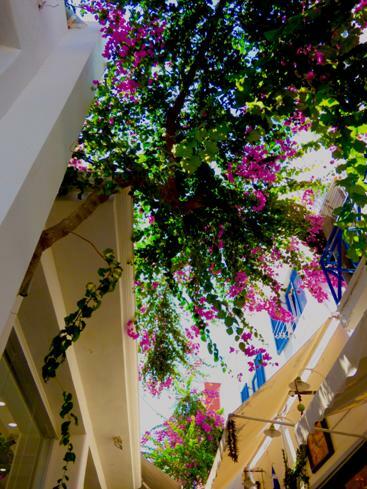 The following stop on my escapade was the capital of Santorini, Fira. Hectic and busy like any other city, Fira is a unique destination with an eclectic assortment of wonders and activities for all, from feasting in the native bars or shopping in the Greek shops, yet for me the views were enough to entertain me. 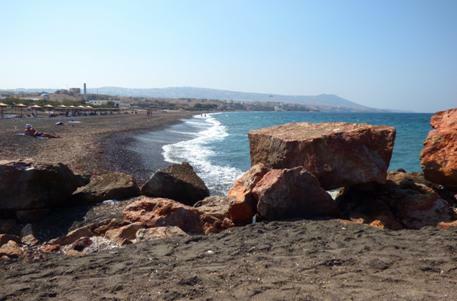 Finally, my last stop on the beautiful island was the volcanic beach of Kamari. 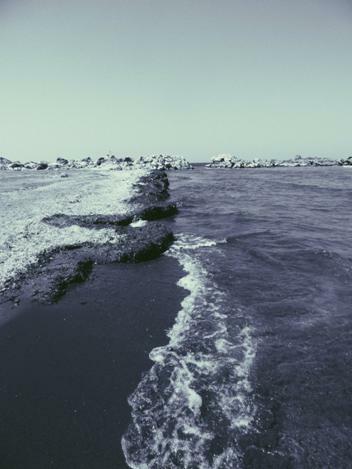 Unlike common beaches, the sand was a grey-black colour and was enclosed by stunning orange rocks. I spent my time here relaxing in the sea, mainly wishing I could stay on this island forever and escape reality. 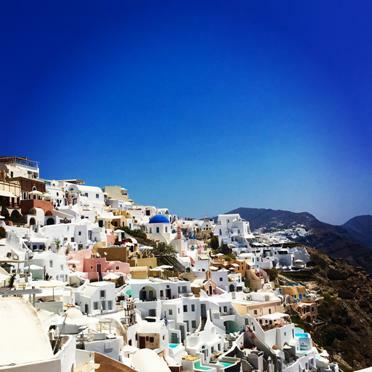 My trip to Santorini was unlike any other trip I’ve ever been on. I had longed to visit this island for many years and cannot wait for another opportunity to visit and hope others can experience the exquisiteness like I did, because I will cherish it for my entire life. 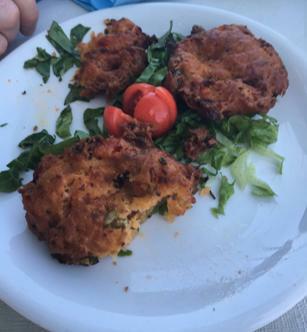 PS- Make sure you try the local food and drink, I enjoyed a plate of tomato keftedes (which are basically tomato fritters) washed down with a huge bottle of Mythos. – Enjoy!